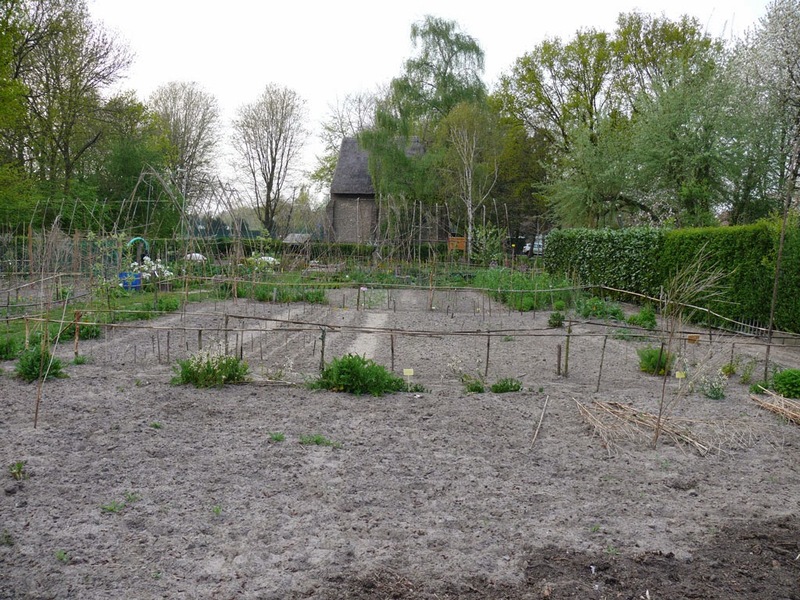 Last year I got a suprize email inviting me for a kind of residency at De Kapeltuin, a community garden, in Breda (NL). They saw a ricecarpet by me in the very beginning of my still short career. Contemplating how to proceed with my ricecarpets, my temporary ephemeral organic carpets, after my projects in England, it come at the perfect moment. I didn't just wanted to make a work on location, I wanted it to grow on location. I made a plan and happily it was excepted. The carpets that I normally make are made with materials I just buy at Toko, supermarkets and organic stores. In Cambridge and London I experimented with waste from pubs and given materials from homes. Resulting in different, interesting works on maybe even more interesting locations (see "Quid Pro Quo: Negotiating Futures" and "Practices of Sustainability, Étude #1 and Étude #2"). How can I make my work more sustainable, is the question I'm asking myself. So I'm making my own materials. I'm planted the seeds and with the harvest I'm making my temporary carpet. So sowing the seeds, reaping them and taking care of the plants till harvest. A seed to seed project. To stretch this cycle even further, the seeds I use for the temporary carpets, are selected on the quality of the seeds. So people can take the seeds with them during the Harvest festival and plant them again. 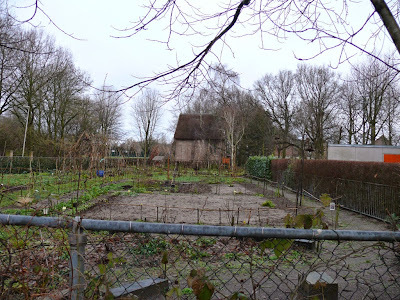 They not only take a seed with them, but also a little bit of history about De Kapeltuin. Every seed together tells the whole story. So in this way, people get invited to share. It's more than a harvest to eat. It's a heirloom, captured in one seed. 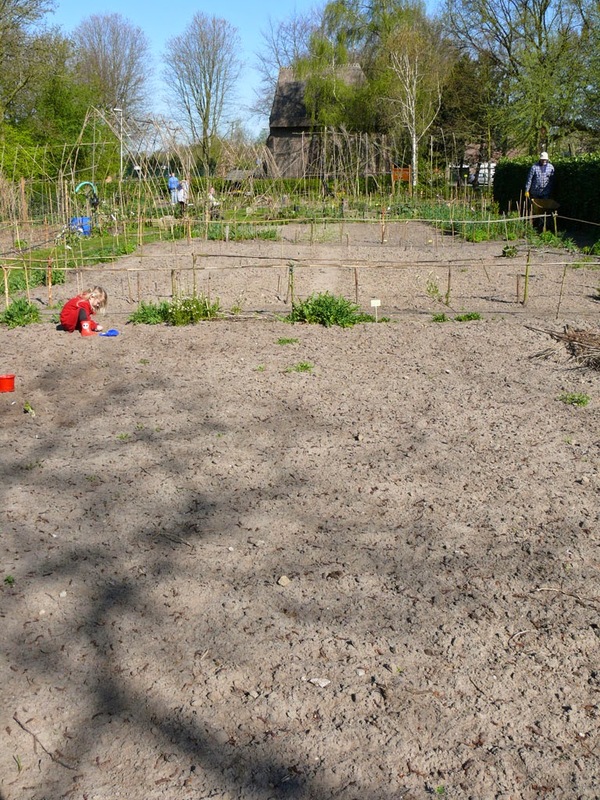 Last week my seeds went in the ground. I will share the growth of my project here, starting with a little photo-serie of my empty plot. From 1 February till 24 April 2015. 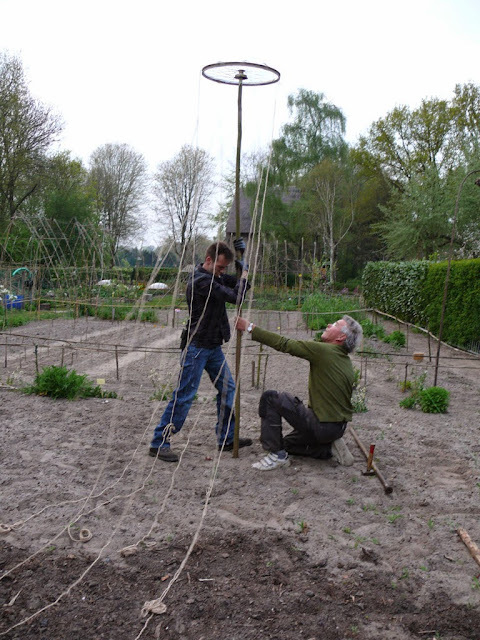 The last photo is of Koen and Freek placing the bicycle wheel on a stake in my plot. 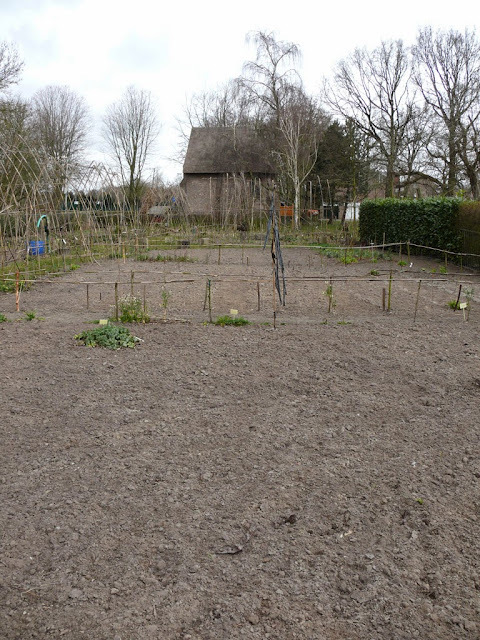 The ending of the empty plot, but the true start of my project 'Hill of beans'! 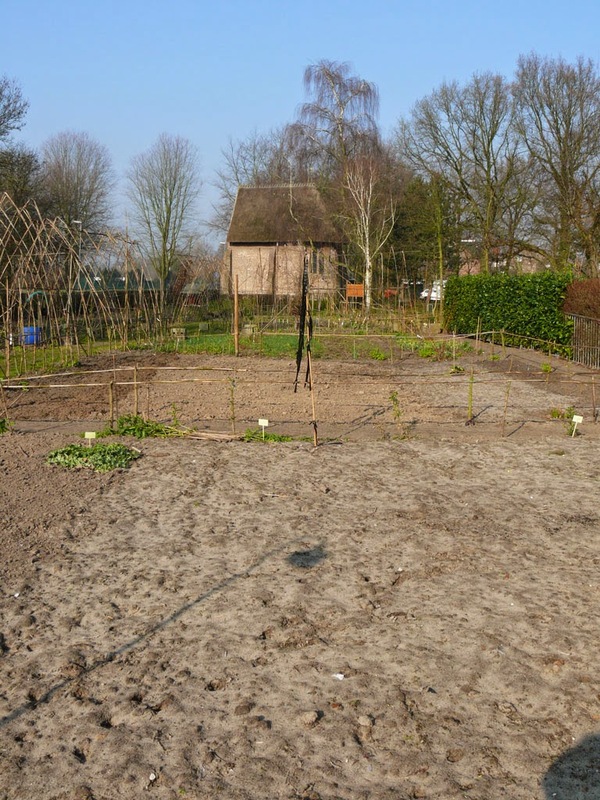 On Sunday 14 June 2015 you can visit De Kapeltuin during the Haagse Beemden Kunstroute and I will be there to tell you about 'Hill of beans'.